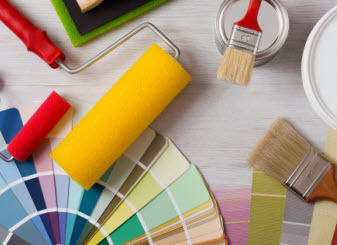 New York Painting Services is readily available to provide painting and contractor services for commercial businesses and residential homes in New York and New Jersey. Since 2004 we have been completely licensed and insured to offer our professional expertise and services to the community at affordable rates. 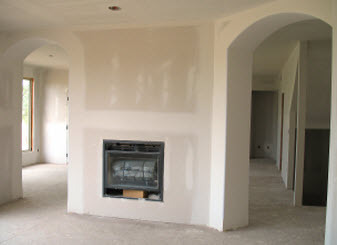 New York Painting Services knows that our greatest asset is our customers. We apply friendly and courteous customer service, high standards and extreme values to every project performed with superior craftsmanship. Our artisans are among the elite; having amazing talents, training and experience that are amplified with the use of high-end products, materials, and equipment to ensure optimal outcome. New York Painting Services can help any home or business in New York and New Jersey achieve the Farmhouse Interior Design. Unlike so many interior designs, farmhouse design is essentially difficult to define as many use words like rustic, vintage, old fashion, Mediterranean, and so on to describe it. But farmhouse has its own character and no official definition. The appeal stems from recreating a unique atmosphere that belongs to the past. Natural wood warmth, fireplaces, beamed ceilings, soft colors, and homey textiles give the Farmhouse Design has everyone feeling comfortable, cozy, and safe. Where it can’t be defined so to speak, Farmhouse style includes organic things, light colors, simplistic lines and detail. 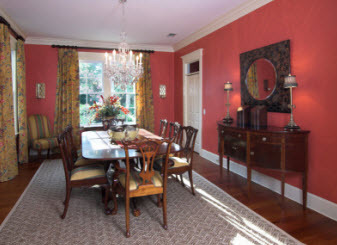 Considered American, it does have a splash of English and French country elements to it as well. Farmhouse Design varies across the different regions, but practical, functional, and comfortable are the common characteristics they all share. Architecturally speaking, the farmhouse’s exterior features include large patios or porches, wraparound verandas, spacious kitchens and gabled roofs. Using woods in a variety of materials and surfaces throughout the home to deliver warmth and charm, the tones and finishes add a touch of personality. Farmhouse Design utilizes the light colors because historically people did not have accessibility to colored finishes. As far as interior painting, white walls are the perfect backdrop with pale neutrals or even bold accents; complimented with fabrics that add texture and color from homemade origins or organic materials like leather, cotton, burlap as well as checkered patterns and stripes. With pale neutral shades and color accents from decorative pillows are an idea of Farmhouse styles. The light fixtures are simply shaped; lanterns and chandeliers constructed from wrought iron or wood belong in a Farmhouse Design setting. Accessories are typically reclaimed or vintage with precious additive. Farmhouse bathrooms often include iconic claw foot tubs of cast iron or porcelain as an iconic focal point. Vanities homemade with vintage sinks, open shelves, storage baskets, and rustic light fixtures are all included with farmhouse interior design. If you need assistance getting your home or business on New York or New Jersey a Farmhouse edge, contact New York Painting Services today!